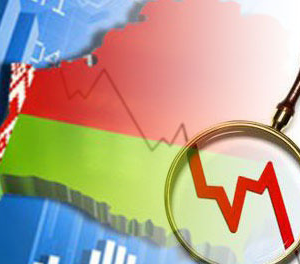 According to Belstat, Belarus’s official statistical agency, in the first half of the year the Belarusian economy sped up, improving four months in a row. 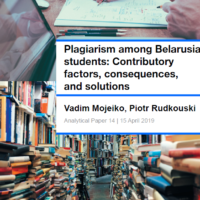 Meanwhile, on 17 July 2017, the authorities announced plans to transform Belarus’s IT-sector into a full-fledged economic driver, aiming to create new jobs and increase tax revenues. Finally, on 25 July 2017, the government announced a new modernization strategy for the manufacturing industry – the plan involves building a new tractor factory. In the first half of the year, GDP growth was 1 per cent. By year-end however, GDP growth should reach 1.7 per cent according to the official forecast (see Figure 1). Industrial production has increased by 6.1 per cent and exports of goods by 23 per cent (in January-May). As a result of these positive half-year economic figures, the government has started to think about new drivers of economic growth. However, according to the First Deputy Minister of Finance, Maxim Ermolovich, artificial stimulation of the economy (through the budget or monetary policy of the National Bank) should not be considered an economic policy tool. On 17 July 2017, the authorities announced plans to transform Belarus’s IT-sector into a full-fledged economic driver. At present, approximately 30,000 IT-specialists work in the country, providing about $1bn of foreign exchange earnings annually. The average IT-specialist, with a salary of $1,500, delivers twice as much tax revenue as the average non-IT worker. Although these plans are still only on paper, the authorities have already hammered out the main ideas of their new revolutionary presidential decree for the IT-sector. The most significant changes have to do with the following issues: first, the decree opens up the Belarusian IT-market for new companies from high-tech industries (electronics, machine engineering, medicine, and biotechnology) and foreign organisations (for example, Google, Facebook, Microsoft, Apple) which monetise IT-products through advertising and paid subscriptions. Second, the decree creates the necessary legal basis for opening a centre for scientific and technological development of driverless cars in Belarus. What’s more, the decree would allow said cars to navigate on Belarusian roads. Third, the decree aims to develop educational activities in the IT-field, such as teaching modern IT-subjects in English in universities and schools. Fourth, the decree opens up the Belarusian market for international investment funds and venture capital organisations. In particular, it would liberalise economic legislation in the event of bankruptcy of an IT-project – this measure would limit investor obligations in terms of their invested money, but not their entire property. Fifth, the decree intends to create favourable conditions not only for Belarusian IT-specialists, but also to poach talent from Ukrainian and Russian IT companies. For example, the decree simplifies the procedure for obtaining a residence permit for qualified foreign IT-specialists and introduces long-term visas for them. Finally, the decree would introduce cryptocurrency into civil circulation (the consumer market). Thus, the government plans to create new jobs and increase tax revenue. According to experts, state tax revenue from IT may increase by two or three times if the number of IT-specialists in the country triples. On 25 July 2017, President Lukashenka decided the fate of the Belarusian tractor industry at a meeting: the government would organise the production of new technologically advanced types of heavy tractor. However, in recent years, this manufacturing sector has shown substantial decline. Over the past five years, the production volume of tractors in Belarus has decreased by half, from 71,000 to 34,400 units (see Figure 2). The amount of people employed by MTZ (the Belarusian tractor producer) has shrunk by a quarter. Likewise, exports have also decreased significantly – from $1bn in 2012 to only $425m in 2016. The decline in exports of Belarusian tractors (90% go to foreign markets) was mainly caused because the primary market (Russia) has in recent years experienced recession (due to reduced oil revenues). Therefore, subsidies for the purchase of agricultural machinery (including Belarusian) has also decreased. In 2017, the export of Belarusian tractors finally began to grow. According to Belstat, in January-May tractor sales increased by 12.2 per cent in comparison with the same period last year, mainly due to improvements in the Russian market. Thus, Russian subsidies for agriculture have reached $1bn, providing buyers a discount (from 15% to 20%) for agricultural machinery, including purchase of tractors assembled in Belarus. According to the Director of the IPM Research Center, Alexander Chubrik, the Belarusian authorities plan to take advantage of the recovery of the Russian market to accelerate economic growth. One of their primary strategies will be establishing production of new tractor models. According to Deputy Prime Minister Vladimir Semashka, this project could cost around $300m-350m, financed by Chinese credit resources. However, the use of Chinese loans may not please Russian partners, who may rethink the subsidies for new tractor models. 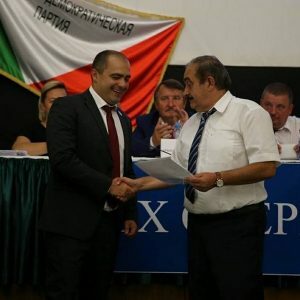 Thus, Deputy Chairman of the Belarusian Scientific and Industrial Association Georgy Grits has proposed joint production with Russia (which already has factories for such tractors). This would provide favourable conditions for the sales of the new Belarusian tractors on the Russian market. All things considered, the positive external economic conditions have helped the authorities get back on a path of economic growth. However, the economy still lacks new drivers for economic growth which could more than double GDP growth. The new tractor factory remains a project for the Old Economy while the new IT-economy still seems a distant prospect.